Vitamin World is a company that specializes in the manufacture of nutritional supplements and vitamins, which are later distributed in United States stores. The company is NBTY Inc.’s subsidiary. NBTY, formerly known as simply Nature’s Bounty, specializes in the manufacture and sale of products under the labels Beret and Holland, Vitamin World, and Puritans Pride. The history of Vitamin World dates back to 1960 when Arthur Rudolf founded the company. The company headquarters are in Bohemia, New York. 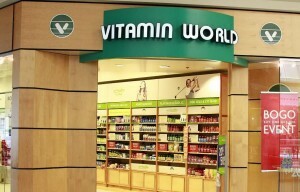 The North American retail stores are under the brand Vitamin World. The United Kingdom retail stores are under the Holland and Barett, brand while a catalog phone ordering division is under the Puritans Pride label. Although a majority of the store divisions sell the same products, they serve different customers. A recent development is the addition of a bargain supplement store in 2007. The store provided a “buy one get fifty a percent discount” and “buy one get one free” sales for all the brand items offered by the store. This development stirred increased competition from leaders of Internet bargains. In 2008, the company changed its format by adopting the slogan, “Get Healthy.” This was accompanied by a change in the company logo in terms of background color and writing format. Currently, Vitamin World is quite up-market because of the adoption of a novel pricing strategy. The company sells its products at a usually less expensive price when compared to General Nutrition Centers.